Personifying the age-old adage which states that ‘dynamite comes in small packages’ and best known for her uncanny ability to sniff out and expose even the slickest fraudsters, crooks, and criminals, Devi Sankaree Govender, has had her fair share of uphill challenges. Her no-holds-barred approach to uncovering the truth has cemented her as a household name, despite her quaint but tough exterior. 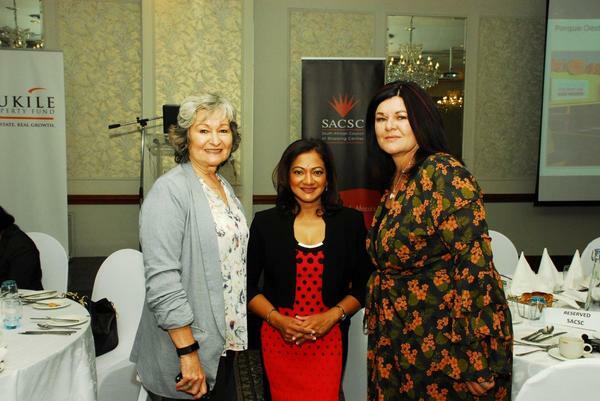 Devi addressed the South African Council of Shopping Centre’s (SACSC) Gauteng Chapter Networking Breakfast recently to share her history, provide intimate yet amusing accounts of her challenges and how being an over-achiever of note almost shortened her life. “I grew up in rural KwaZulu Natal, Umzinto to be exact. It was a small community where everyone knew everyone. I remember being in standard eight and watching Derek Watts for the first time on Carte Blanche and I knew that’s where I wanted to be,” she said. Twenty five years of Devi’s life has been spent in the media limelight, after starting out on radio before moving to print and television. Over the past 16 years, Devi, an MBA graduate, has been working at Carte Blanche and has gained the reputation for being fearless in her efforts to expose corruption wherever it may exist. But, when her day is done, Devi is inherently a wife and mother to two children, both under the age of 16. “My main message for the day is to let everyone know that self-sacrifice is not a virtue when you are slowly killing yourself. Most of us are unaware of the harm we inflict upon ourselves,” she said. Five years ago, Devi received news that she was pre-hypertensive-which meant that her heart muscles became thicker than normal. After a visit to a cardiologist, who told her that she wouldn’t make it past her 50th birthday, she knew she had to do something about it. “The news set in motion a series of events-false starts and stops. I had to constantly fight to find balance and learn how to put myself on top of my list while chasing crooks on television. I then had an unexpected meeting with Huffington Post founder, Ariana Huffington which culminated in a blog that went viral-much to my surprise,” she said. “Far too often, we find ourselves taking on more than we can handle. Not sleeping enough, not spending quality time with family and friends-always saying yes to everything before contemplating how to fulfil those commitments. The key is know when to put yourself first,” she added. 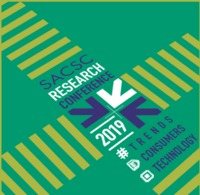 Amanda Stops, Chief Executive Officer for the SACSC said that Devi’s shared some good practical advice, a positive way to end of the networking breakfast events for Gauteng for 2018. “Often we find ourselves knee deep in stress, some self-inflicted and some circumstantial. The corporate world can be a pressurised one, and it is important for us all to find the right balance, in order look to look after ourselves so that we can be the best we can be. Devi’s talk definitely shed light on finding that balance between work and our personal lives,” she said.